Sinn Fein Bagman Tom McFeely left €200,000 in his Mansion, the Sinn Fein Bagman handed over large amounts of cash to Sinn Fein in the run up to the General Election in 2011 which resulted in 14 Sinn Fein TDs getting elected. McFeely’s fortune was made off the back of good and decent hard working people who have now been left homeless after being evacuated from their Priory Hall Homes. A search by the Criminal Assets Bureau of the former home of controversial Priory Hall developer Thomas McFeely is continuing this afternoon after officers found €60,000 in cash just days after a plumber found €140,000. 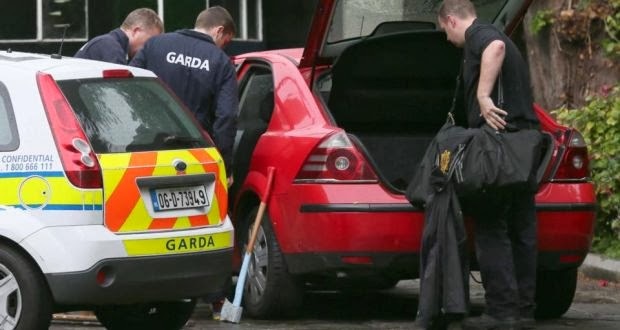 The €60,000 find was made yesterday, just days after a plumber carrying out renovations for the new owners of the luxury property on Dublin’s exclusive Ailesbury Road in Ballsbridge, found €140,000 in €50 notes hidden in the bathroom. It is understood the latest haul, which was made up of €50 notes wrapped in rubber bands and plastic bags, was also found in the bathroom. Officers from CAB were this afternoon continuing to search the property, once valued at €15 million but sold last year for €2.5 million. 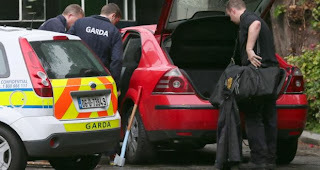 The gardens and drains of the extensive red brick property were searched throughout today with teams of gardai seen removing bags from inside the home and using heavy tools including long handled shovels, axes and ladders. Mr McFeely, said to have debts of some €200 million, was adjudicated bankrupt at the High Court here in August 2012. After a legal battle, his home was then repossessed by the National Assets Management Agency as part of its efforts to enforce a €9.5 million judgment obtained against him over unpaid loans. After the €140,00 was found on September 20th, it was lodged in a bank account under the control of the official assignee in bankruptcy pending a decision on what should happen to it. The €60,000 is expected to be similarly lodged. Taoiseach Enda Kenny said today Nama would be interested in the discoveries after taking control of Mr McFeely’s loans. “I understand that an inch-by-inch survey, an investigation, has been carried out both in this residence and on the grounds of the premises to see if there is any more here,” Mr Kenny said. 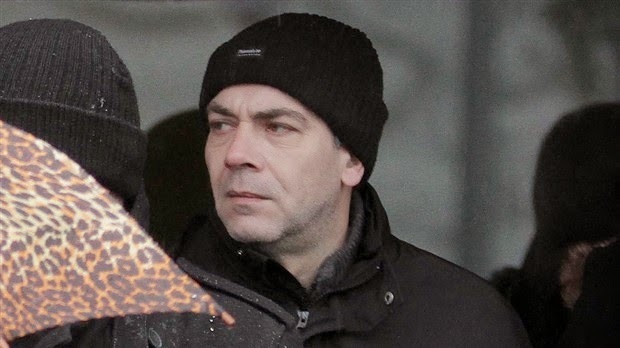 Mr McFeely - a former IRA hunger-striker - was involved in the development of Priory Hall in Donaghmede which was evacuated almost two years ago after Dublin City Council raised concerns in the High Court about fire safety and other matters. About 180 families had to leave their homes and many continue to campaign for suitable alternative accommodation. Mr McFeely avoided going back behind bars last July after successfully overturning a contempt of court judgment. The developer appealed against a judgment that he broke court orders. He had been ordered by the High Court in Dublin to carry out remedial works at Priory Hall, but was sentenced and fined when he did not. Barristers for Mr McFeely appealed it was impossible for their client to comply with orders because he had been evicted from the site.